Crowns are used to strengthen cracked, heavily filled or root canaled teeth and to improve your appearance cosmetically. Crowns are a tooth-shaped cap which is cemented over the remaining natural tooth. Metal crowns are made of alloys which are very strong and long-lasting. 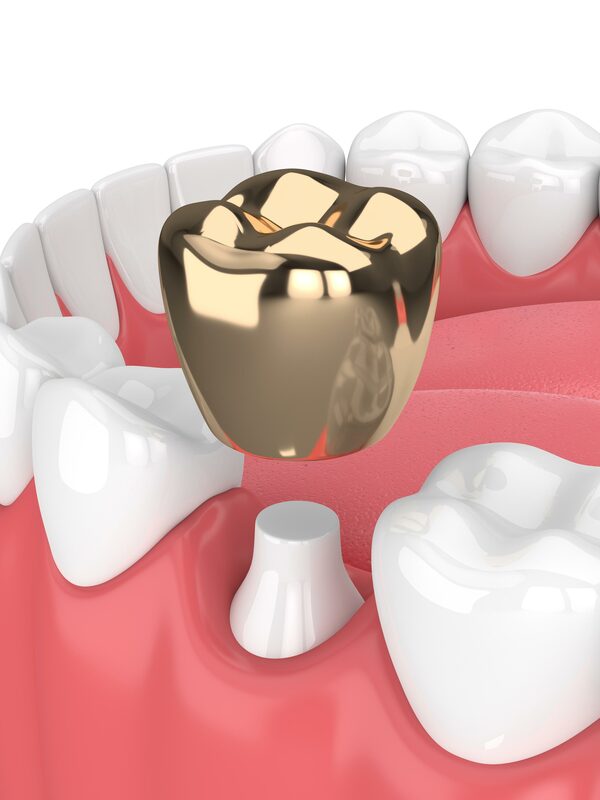 A gold crown is used to repair a fractured filling in a high-load area of the mouth. Ceramic crowns can be very lifelike and beautiful, which means they are very popular for restorations in the smile zone. Once the tooth has been prepared the dentist takes a mould of the teeth. The dental ceramist uses the mould to create a custom-made replacement tooth which has a very precise fit and matches the natural tooth shade. There are a number of different materials available for the production of a crown. Ask CMDental for advice on the best type of crown for you.